Joel really enjoyed making these with me. 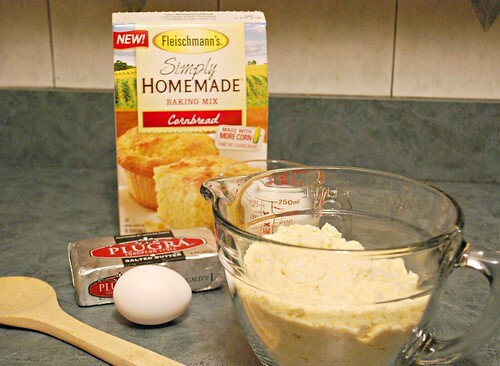 I loved how easy it was to make using Fleischmann's Simply Homemade Cornbread Baking Mix. With only a few pantry staples, we prepared the mix as directed. To jazz it up a bit, Joel spotted the honey in our cupboard and asked to include it. For a four year old, he certainly knows some good flavor profiles! Another thing to note is that these mixes make it easy to include other ingredients to change up the flavor. The Baron suggested throwing in cheese and bacon for next time. With the fresh herbs in my garden growing, I'd like to try mixing in fresh basil and thyme or even minced garlic. Whatever you decide, you can't go wrong - the baking mixes make it easy! It really is 'Cornbread Your Way!' This time around, mixing in honey was a great idea and went really well with our BBQ rib dinner. We found the flavor to be true to cornbread, which is no surprise since it's made with more corn than the leading brand. What was surprising was that it tasted as if it were made from scratch, without all the work! We definitely recommend this cornbread mix to save your time in the kitchen while you prepare some great summer meals. In fact, look for a coupon for Simply Homemade Cornbread in your Sunday paper and/or in your local grocery stores! Preheat the oven to 375 degrees. Line a 12-cup muffin pan with liners and set aside. Combine the cornbread mix, egg, milk, butter, and honey in a large bowl with a spoon, stirring until all the ingredients are combined. Equally divide the batter among the lined muffin pan. 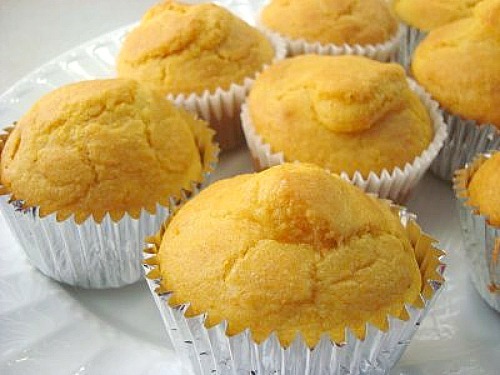 Bake the muffins in the preheated oven and bake for 25-30 minutes, or until a wooden pick inserted comes out clean. This is a sponsored conversation written by me on behalf of Fleischmann's. The opinions and text are all mine. 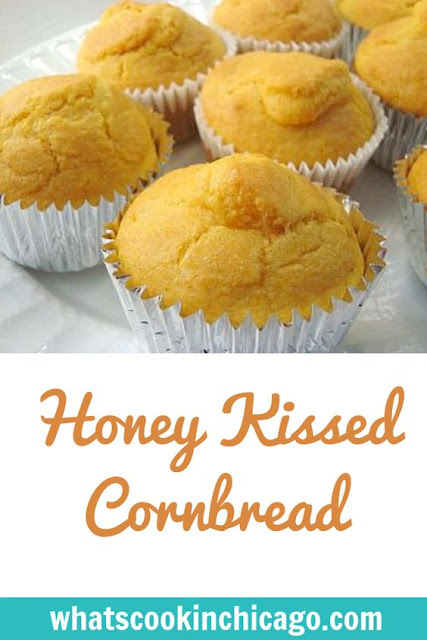 I can never resist a good cornbread recipe!! Yummy!